My thoughts were drifting to 1955 and 1956 this morning, specifically the '55 Double Headers set and its successor, the '56 Baseball Pins. I have written about both sets previously but for some reason it hit me today that these two sets were designed to pin Bowman flat on the mat. Spend those pennies and nickels on Topps products and that was just a little less left for Bowman's, right? 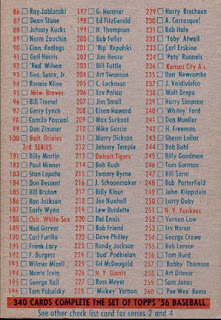 With 1955 seeing what is the first supplemental baseball set in the Double Headers, Topps went with pins the next year but stopped the set at 60 instead of the advertised 90. Now Bowman had no counter to this move; they had no supplemental sets to offer, metamorphic, metal or otherwise. Their only two real side issues were the1949 PCL set and the Black & White cards that rounded out 1953 when the Kodachrome stylings of that year got too expensive to justify. So why did Topps withhold the last 30 pins? I suspect it was because the battle was won and when they agreed to purchase Bowman in February of 1956 (a deal that would close on April 1 of that year) there was no longer any need to spend the money on a last series of 30 pins so they just stopped production. Topps would occasionally do this for various reasons but in '56 I believe they were stretched on the cash flow front due to the purchase of their primary competitor and just decided to can the rest of the set. That candy coated gum almost certainly represents the death throes of of Block Busters gum, a product that was fizzling out at the time and which resembled Chiclets. Once again Topps was able to take a failure and repurpose it. I would not put it past them to have taken returns of Block Busters and taken the gum nuggets from those packages and inserted them into these. The bottom is quite informative. We learn that the set was definitely was to have 90 subjects. The Bazooka premium catalog offer is a nice bonus! 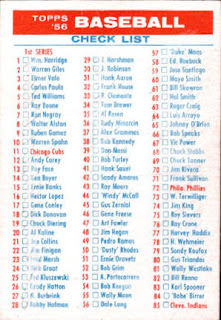 Personally, I consider the '56 Pins to be one of the best supplemental Topps sets ever; it's just too bad it never could get past 60. 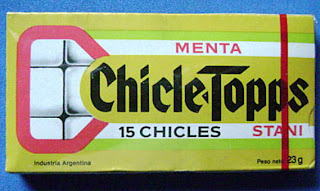 Well campers, I was all set to compose a stultifying post on the intricacies of Topps legal entanglements with the American Chicle Company but that will have to wait for another day as something wondrous has happened. 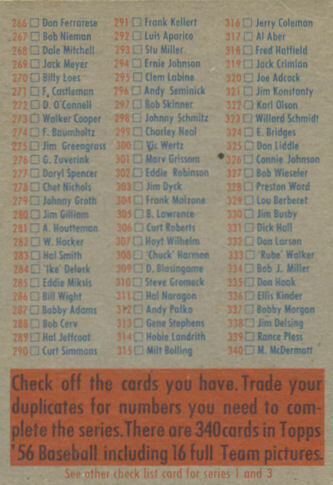 Two 110 card half sheets of 1956 Topps Baseball have shown up in the current Clean Sweep Auction. 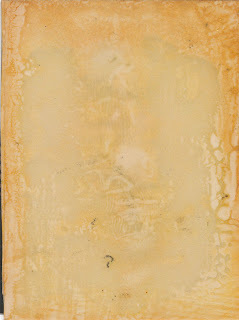 This is quite a development as mid 50's sheets are truly difficult pieces to obtain. 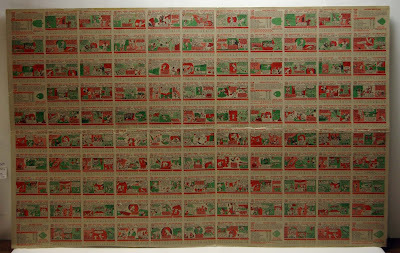 The sheets look odd because they are displaying horizontal cards but reading across, the columns (rows, really) are patterned A B C D E F G H B C D. That's 30 subjects double printed and 50 single printed for a total series of 80. 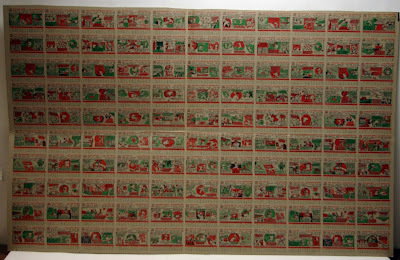 The companion half sheet would have had a different array since there are no known short prints. Instead, I think there is a good possibility the other half would have double printed the A E F G and H columns and then a random 3rd column. Other arrays are also possible but I think the result would be 20 Short Prints no matter how you sliced it. 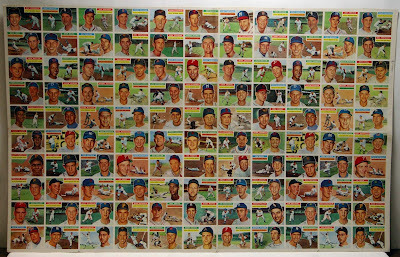 There's so many 56's out there the short prints in this scenario (20 of them) probably have not be noticed Series 2, 3 and 4 in 1956 had 80 cards. Series 1 had 100 cards to it so would have had 20 extra Prints. Thanks to all the Archivists out there who alerted me to this auction. Just a tidbit today kids, a morsel if you will. 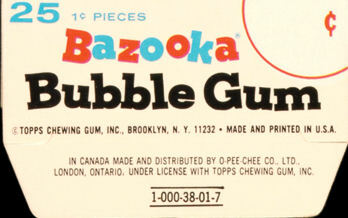 I've been curious of late about the fadeout Tops made from the non-Bazooka gum scene in the 1950's. At some point in the early 1950's they stopped commercial production of their long-running line of "changemaker" penny gum tabs. 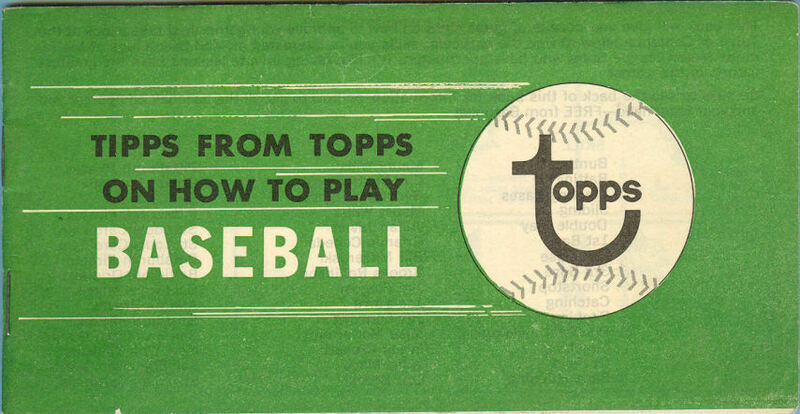 This makes sense as Topps was evolving at the time from a company that sold gum to adults and candy to kids to one that was much more kid-oriented. 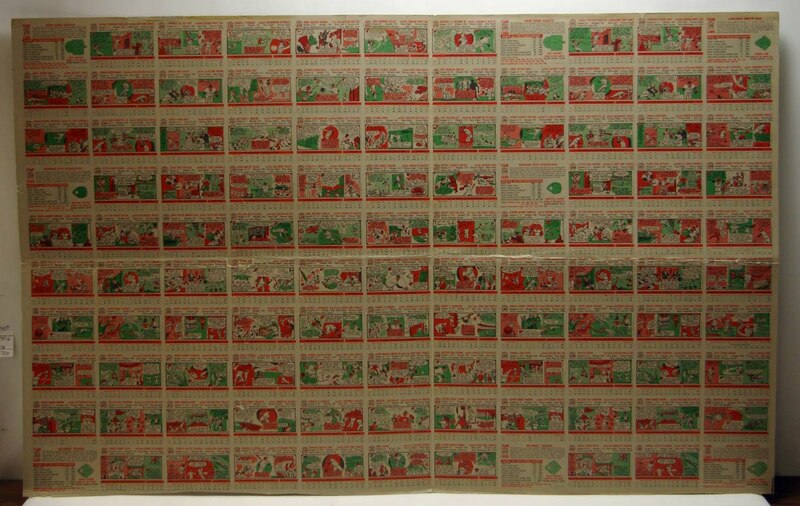 While they still produced a peppermint gum tab for use in U.S. military field rations and would do so at least through 1958, the focus had shifted to bubblegum and trading cards once they baby boomer began spending their pennies and nickels. Topps would often sell products in South America that had run their course or been discontinued in the U.S. Usually this involved trading cards but for at least one product, the gum is what was repurposed. 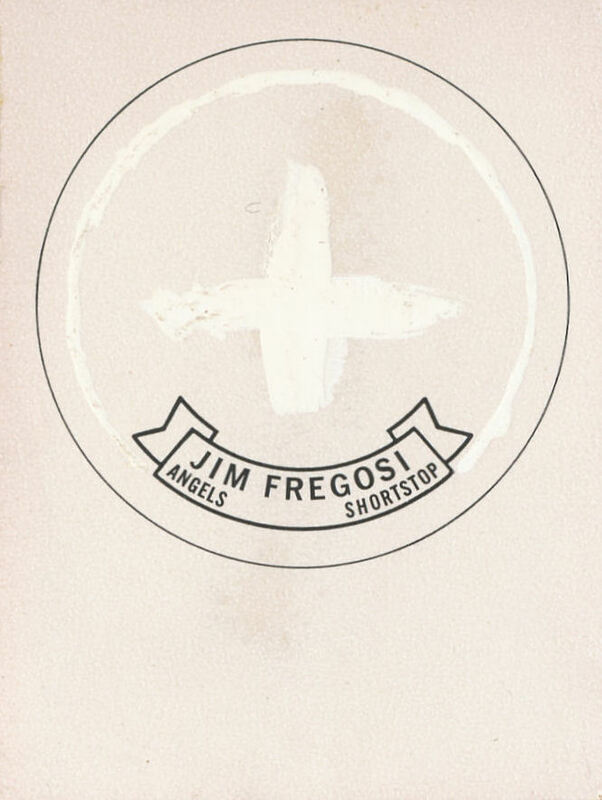 A little while ago I managed to snag a black process proof of Jim Fregosi's 1970 Topps Baseball Stars Candy Lid on Ebay, despite a snipe war that cost me dearly. 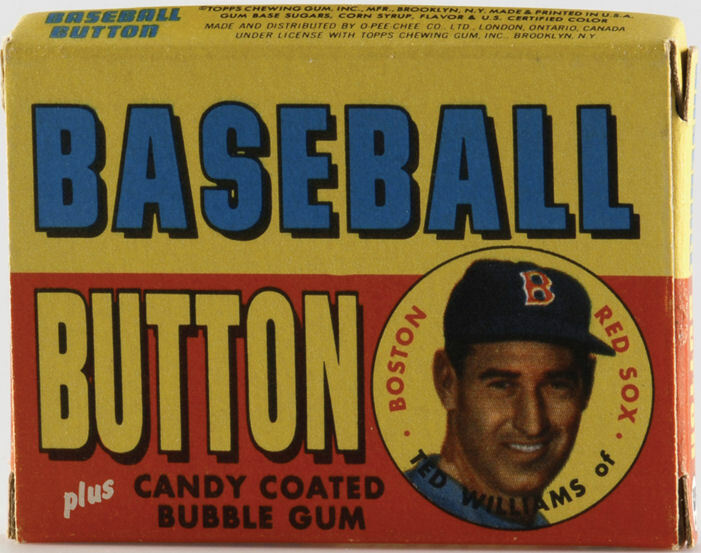 The '70 lids are pretty difficult to find and may have suffered from lack of sales of the candy product. 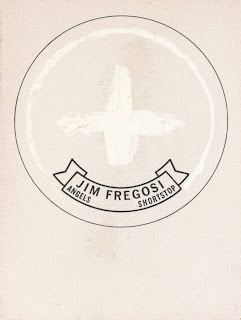 I can't even find a good scan of the actual Fregosi lid but the black process proof is a little surprising. Given the amount of effort and expense that went into each set, I am amazed sometimes that Topps made a profit. It must have really been felt on the bottom line though, when something like these lids did not sell like they had hoped. Well, Blogger's little hiccup left thing relatively unscathed here at the Archive, with just a re-date of the last post to make it's mark. 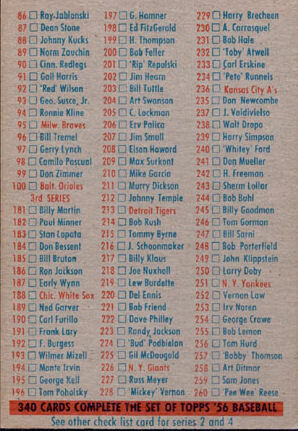 1971 saw Bazooka's last effort for many years in printing cards on the backs of their party boxes. The baseball effort was documented previously and in addition to those final twelve panels, football and hockey efforts also issued forth. 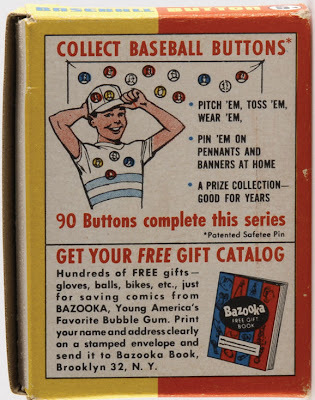 And with that, Bazooka bowed out for a good many years from issuing cards on their boxes. 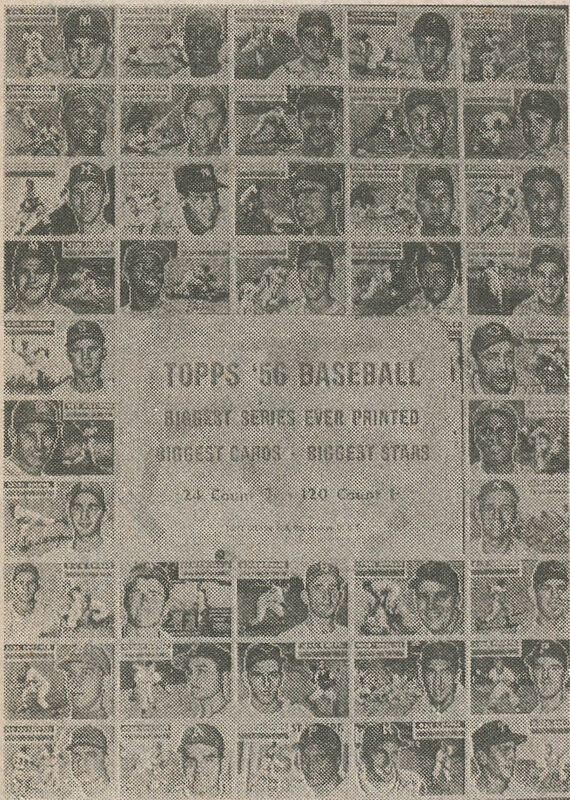 I think this was tied to the sale of Topps to outsiders, resulting in a true corporate environment for the first time, which also reflected higher licensing and marketing costs making ancillary sets difficult to issue at the time. 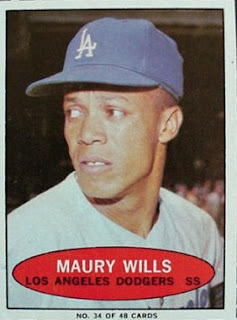 I guess Topps finally had their bubble burst (sorry.....)! 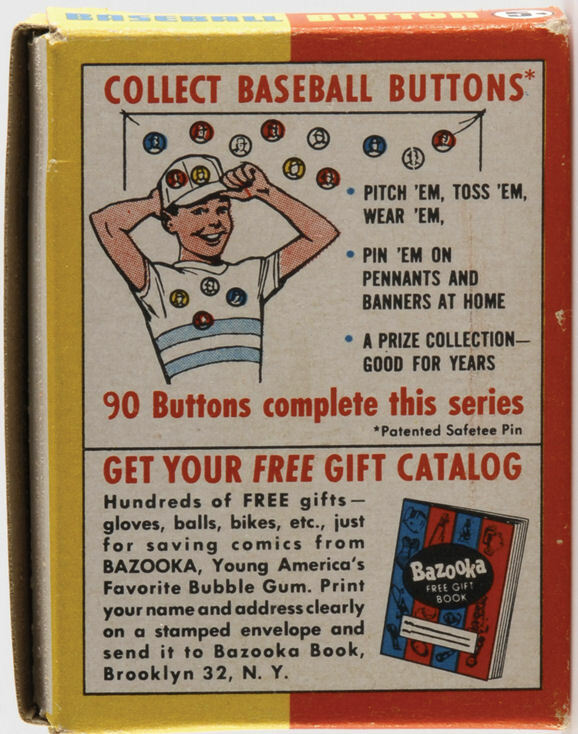 As hinted at last time, there is a bit of a mystery surrounding the 1969/70 and 1971 Bazooka Baseball sets. 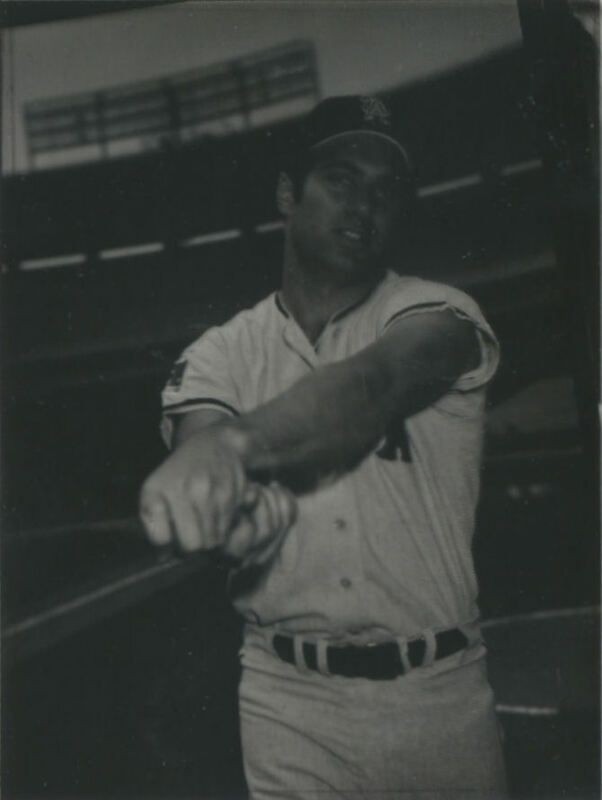 The 1969 All Time Greats set makes sense as the professional baseball centennial was being celebrated but the idea of it being reissued in 1970 always struck me as being strange. 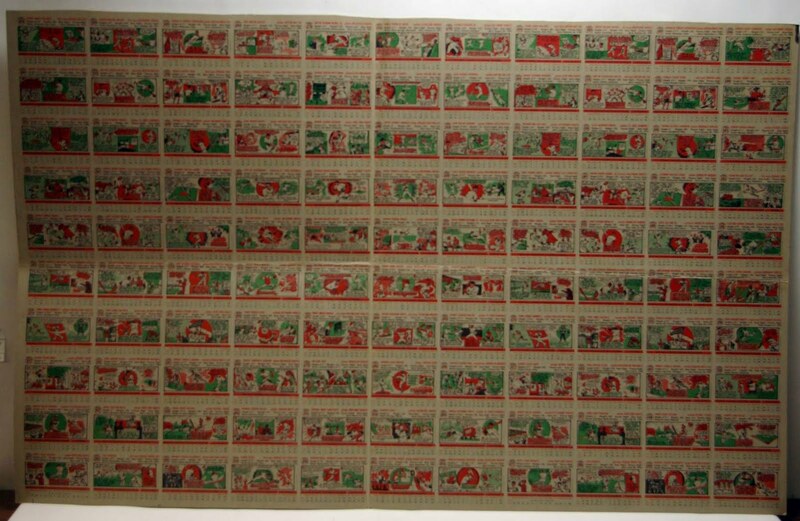 Stranger still is the numbered Bazooka set, not because of a return to the traditional three player panel but because it has been depicted for forty years as having been issued in 1971 but after the regular release, which was unnumbered. The 71's are also referred to as proofs. 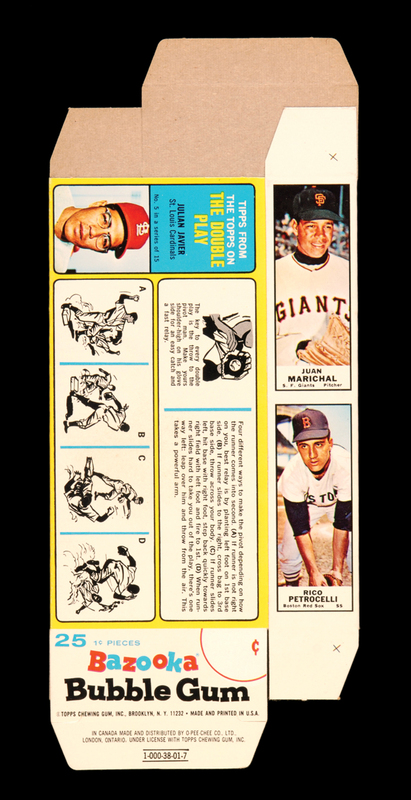 To further mystify us four decades later, the Topps brain trust also issued four extra panels in the numbered format, yielding a run of 48 cards on 16 panels instead of the 36 cards appearing on 12 panels in the unnumbered format. My own take on it is that the numbered set was probably intended for distribution in 1970 and then pulled back for some reason. 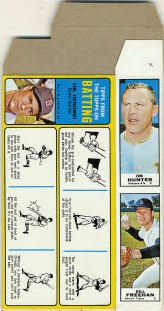 A possible causative action may have been related to the players and teams depicted on the cards. If we look closely at the four extra panels in the numbered set, we can almost see a pattern develop. and had productive seasons in the 69-71 tranche as well. Why this panel was pulled is a mystery, perhaps Tom Teriffic had another endorsement deal that kept him from being in too many Topps sets but really it's just bizarre this panel was excised. 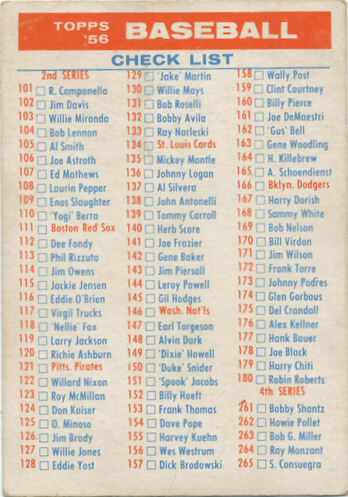 Finally, we have #43-45 with Jim Wynn, Richie Allen and Tony Conigliaro. Tony C of course was fighting his way back from a horrific beaning but it's Allen that caused the problem here. He is shown as a Cardinal, even though I can't find a scan to show it right now,which was all well and good in 1970 but for 1971 he was a member of the Dodgers. 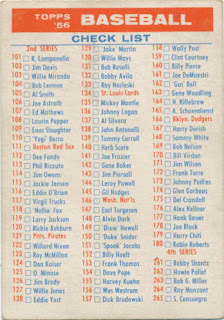 The trade to LA happened in October of 1969 and as we already know, Topps was fond of starting Bazooka production in the year prior to issue, so '69 teams for a 1970 release makes sense. Other than the Wills/Seaver/Oliva anomaly it all makes sense but since this is Topps, there is always something that skews things! 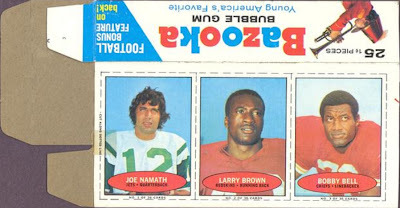 Was the numbered set to be a 1970 issue? Based upon the Rickie Allen Cardinals cards, I would have to say yes. What caused the entire set to be shelved is something I cannot explain. 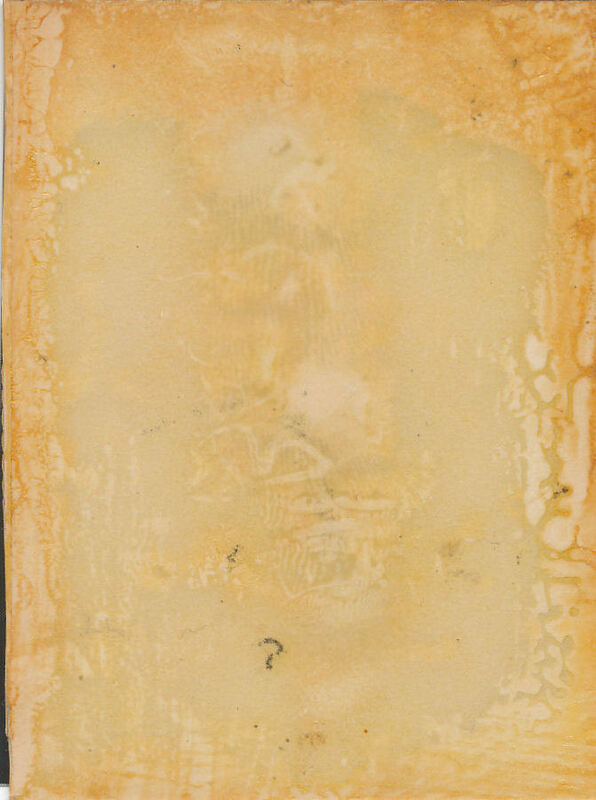 If they are truly proofs in numbered form, then they probably came to market through the Card Collector's Company. More 1971 Bazooka action next time out kids! Well a trip to 1970-71 was planned today pilgrims, but as usual an investigation of one era has led to a different path. That's OK, the fun part is in the journey! One of the odd things about Topps is that their Bazooka issues from 1959-71 are given short shrift in the guides. 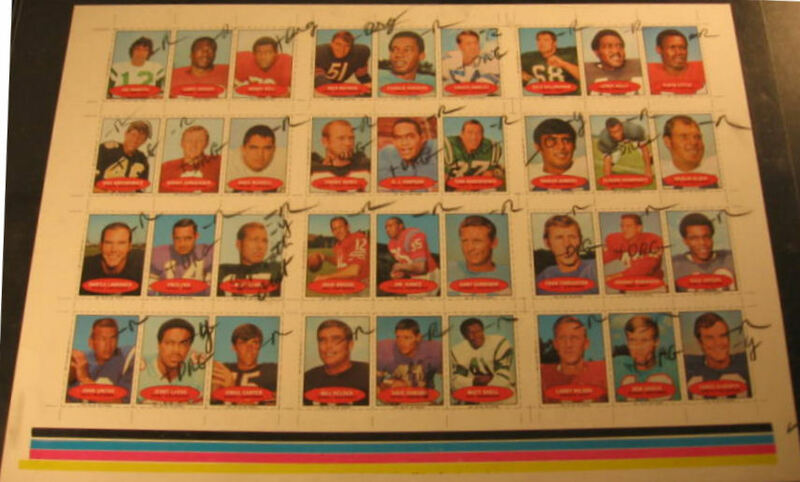 Prices for these cards suffer as they had to be cut from the boxes holding the pink stuff. 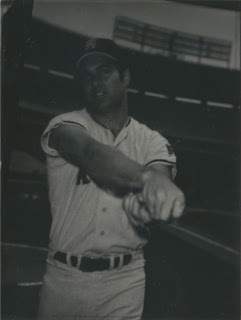 It's too bad because the photography on many of the cards is equal to or better than that on the regular issue Topps cards. 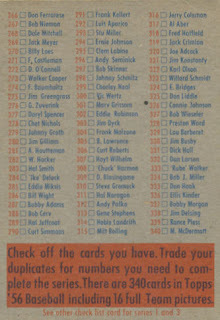 From 1960 through 1967, Topps used a standardized back panel featuring three cards per box. 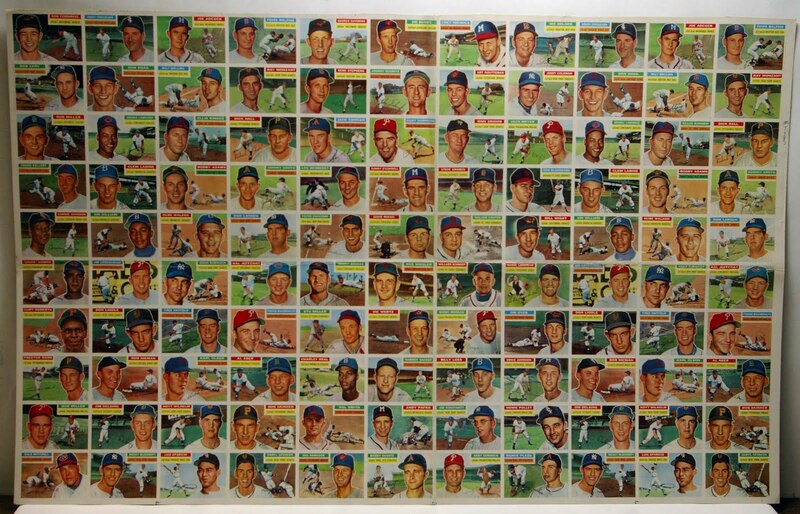 The set lengths would vary but always fall between 36 and 48 cards per year. 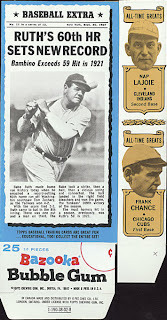 Many designs were similar and the better players had cards from year to year that require the use of a guide to determine specific vintage but it was a remarkably consistent run. Then in 1968 the entire formula for issuing these sets changed. That means the production commenced in 1966, even though the product was sold in 1967. I would imagine the bigger and more expensive products were shipped earlier than the standard nickel packs as they would be warehoused somewhere for a bit before being shipped off to supermarkets and groceries, which were the main retail outlets for the Bazooka party boxes, as they are referred to in the trade. 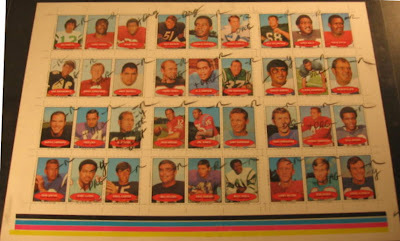 Those old timers look like the 1963 All Time Greats Bazooka inserts but I have not yet compared pictures to see if they were identical. 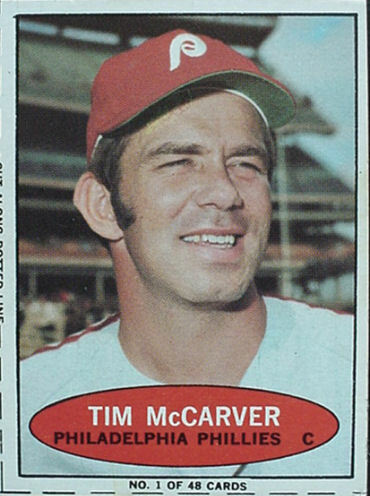 Baseball celebrated its (alleged) 100th birthday in 1969 so I guess everyone was waxing nostalgic. That production code by the way indicates 1968. The set is always referred to as a 1969-70 issue and I am not sure if it was reissued in 1970 or if something else took its place. 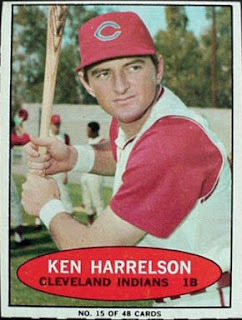 That is something I want to look at in conjunction with the two 1971 baseball sets and will be the focus next time. 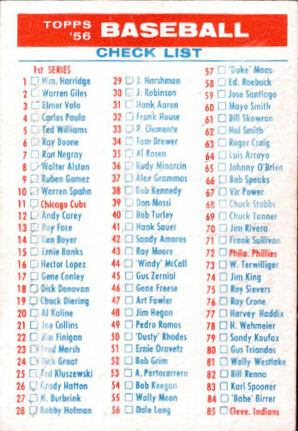 Every once in a while I am surprised by a new entry to what I call the Master Topps List. I keep a record of each set issued by the company from 1948-80 and since about 1999 maybe every couple of years a new entry is made to the list (I have been keeping track since 1989 or thereabouts, in case you were wondering just how far back this obsession goes). Faithful reader and sometime-troubadour Matt Glidden sent along a question the other day that led to a fresh entry in the database. 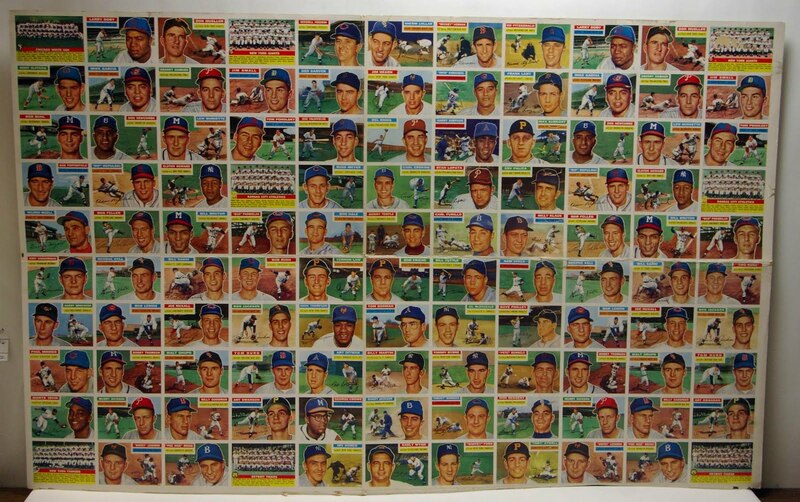 The vagaries of the 1970 and '71 Bazooka baseball box backs will be looked at shortly, so stay tuned kids!